On the water, in town or among the fauna and flora, there are many ways to discover Rouen and the Seine Valley. Board a boat for a cruise on the Seine. A simple excursion for a celebratory dinner, this trip will take you to the heart of the curves of the Seine for a moment of relaxation as a couple, with friends or as a family. The city of Rouen has a multitude of parks and gardens to offer, which will make your walks even more enjoyable! The Saint-Sever meadow, the Plant garden, Verdrel square or the parks in the Seine Valley are green and welcoming settings for your excursions. Don’t hesitate to explore beyond Rouen all the way to the Alabaster Coast: all of Normandy deserves to be seen. It didn’t inspire the greatest artists for nothing! 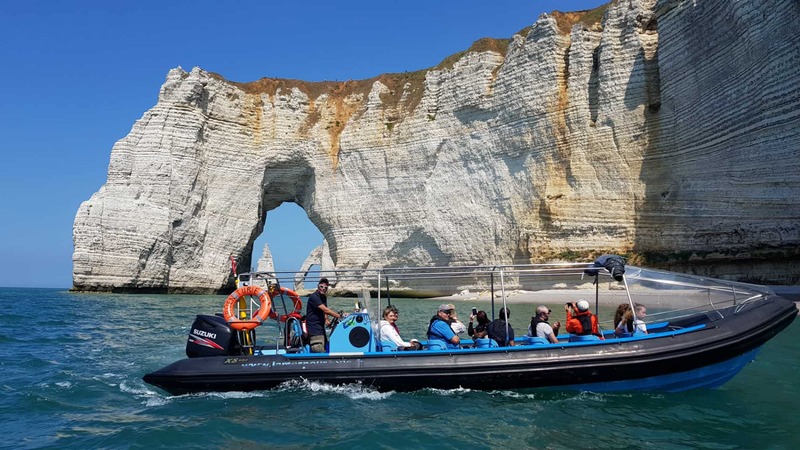 Trace their footsteps and let yourself be charmed by the beauty of Etretat, Honfleur or Veules-les-Roses. We can suggest itineraries to suit your tastes and desires.